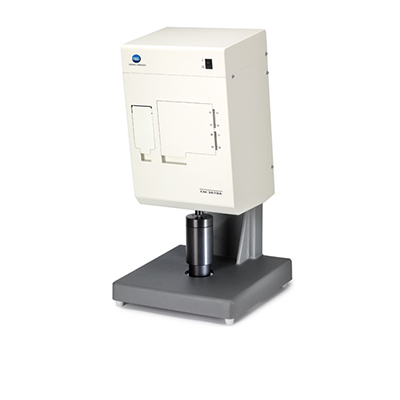 The CM-3610A is a highly precise and reliable spectrophotometer that measures color quickly in any application. The vertical configuration is ideal for textile, paper and non-contact measurements such as powders and pigments. Utilizing Konica Minolta patented Numerical Gloss Control (NGC) system, the CM-3610A can handle simultaneous measurements of specular components included (SCI) and excluded (SCE). 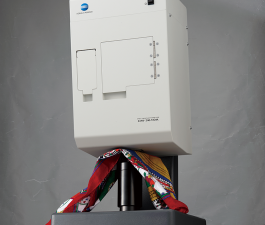 The patented Numerical UV Control (NUVC) method used by CM-3610A enables accurate measurement of samples such as cloth and paper that contain optical brighteners (OBA). Equipped with these patented technologies, the CM-3610A assures high accuracy and repeatability. Combining with superior reliability due to reduced number of moving parts, it offers an unparalleled price performance ratio.